Specialist student possessions and contents insurance, with accidental damage to landlords property / tenant's liability as standard, up to £5,000, which can be increased to £10,000 with the addition of accidental damage cover for the landlord's fixtures, fittings and furniture, we can cover you whether you’re living in University Halls of Residence, a Privately Rented Student Property or Shared Accommodation. Why choose Cover4Students for your student contents insurance? Includes 'Walk In Theft' Cover. (No forcible entry needed and no locks on your room required). Low £10 Standard Claim Excess. £5,000 Cover for Tenant's Liability for Landlord's Property as Standard. Optional Accidental Damage to Landlords Property / Tenant's Liability up to £10,000 — Including Accidental Damage to the Landlord's Fixtures, Fittings & Furniture. Why choose Cover4Students for Student Contents Insurance? Tenants Liability — The policy come with an automatic cover of up to £5,000, for fire, theft and flood and can be extended to include, accidental damage to the landlord's furniture, fixtures and fittings up to £10,000. Accidental Damage to Landlords Property | Tenants Liability—Optional cover, up to £10,000, available to insure against fire, theft, flood and accidental damage to the landlord's fixtures, furniture and fittings. New for Old Cover—In most cases the item will be replaced as new irrespective of their age and condition. A deduction may be made for wear and tear for clothing, rented household goods and college property on loan. Low Claim Excess—You only ever pay the first £10 of most claims under this student contents insurance policy. Walk In Theft Cover—Walk in theft is a standard inclusion to the student contents insurance policy; whereby no lock on your room is required & no forcible entry into your room has to occur for a theft to be covered. 14 day cooling off period—If you decide for any reason that the student possessions insurance policy does not meet your requirements within 14 days of purchasing your student insurance policy. We offer a full refund of your student contents insurance premium guarantee, if you decided to cancel, provided no claim has been made or pending. Specialist Student Possessions Insurer—Our student contents insurance polices are designed exclusively for students. Covers Shared Accommodation—Insuring your contents in multi let properties as well as single lets. Who can take out Student Possessions Insurance? The student possessions insurance is designed for all students studying within the United Kingdom at University or College who live in private rented accommodation or designated halls of residence, including shared accommodation. To be eligible for student contents insurance, the policyholder should be aged over 18 years on a full or part time university or college course. NB: If you are aged under 18 but require student contents insurance, then it is possible to provide student insurance in certain circumstances, please contact our help centre for further information on: 0161 772 3390*. Office opening times are Monday to Friday 9am to 5pm excluding public holidays. 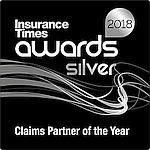 Stream, our claims service, were awarded Silver [second place] in the category of “claims partner” at the Insurance Times awards 2018. Stream were the only adjusting firm to achieve a top 3 award in any category. We provide a range of optional extras so that you can choose the student contents insurance covers that you require. Helping you tailor the student contents insurance to meet your needs and saving you money by only paying for you require. It’s important that you read the Student Contents Insurance Policy Documents to make sure you understand exactly what’s covered, with our student contents & possessions insurance policy. You can find out more about Students Contents Insurance in the documents below which you will also receive when you purchase our tenants insurance. Check your student's contents insurance policy to ensure that the cause of the loss or damage is covered. Your schedule will show which cover sections are operative. About a month before the renewal date of your student insurance policy we'll send you a renewal email. This email will contain details of how to renew your student possessions insurance policy. Important: Your Students Possessions Insurance will not automatically renew. Alternatively you can just book a new student contents insurance policy by clicking the quote button. You should now enter your payment details to complete your student possession insurance renewal. button and follow the quick quote facility. From our experience, students’ cover requirements and address details tend to change year-on-year. This process ensures that you have sufficient cover at our best price. If at any point you wish to discuss your student contents & possessions insurance policy renewal with us, you can contact us via telephone or e-mail and a member of our Renewals Team will be happy to help. If you would like to use our online chat facilities about our student contents insurance, please click here.